Top Five Best Cheap DSLRs For 2019 - Which? We round up our pick of the first-class DSLR cameras costing less than £500, to help you find the best bargain model for your needs. If you’re looking to take top-notch pictures and record high-definition video, you need to get your hands on a DSLR camera. However, you’re not just buying a camera, but investing in a system of lenses and accessories you may be using for many years to come. That's why it's important to pick the right model at the right price. Whether you’re looking for an entry-level DSLR camera or one with more advanced features, there are plenty of options to choose from. We've handpicked our top-five bargain DSLR cameras available for less than £500 in the table below, from models with a large optical zoom to blistering shutter speed and Full-HD video recording. You don’t have to spend a fortune to get great-quality photos and video, either – decent models start from around £300, as you can see from our rundown of interchangeable-lens cameras. While the best models have simple controls, are easy to use and produce the pictures of your dreams, the worst are poorly designed, cheaply built or have poor battery life. That's why we've also revealed some models to avoid. Priced as a budget DSLR, this camera is a great choice for beginners. 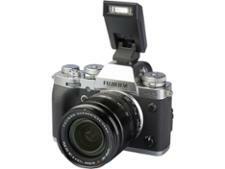 Its shutter delay is minimal, and it offers the flexibility of interchangeable lenses. But does it take great pictures, or will it leave you disappointed? We put it through the rigorous Which? test programme to find out. This is a new entry-level camera with a 24Mp sensor, in a compact DSLR body. It's a refresh of the previous model, with built-in Bluetooth and improved battery life. The manufacturer claims you’ll get outstanding low-light photos with this camera, but does it deliver or will you be let down by the results? Marketed squarely at first-time buyers or students, this DSLR is an affordable option with very good picture quality and image stabilisation. But does its budget price mean the manufacturer has cut corners on build quality? We tested it in the lab to find out. Billed as an entry-level DSLR camera, this camera brings some new features into the mix, hoping to interest novice and enthusiast photographers alike. It produces great overall photos and the control layout is very similar to previous models, but what's the camera like to use day-to-day? Our test lab put it through its paces to find out. A step-up model from the entry-level DSLR, it adds extra features such as wi-fi and GPS, along with a larger, more detailed and more flexible screen. We were impressed with the camera and its pictures, particularly at the price, but is it worth the extra money? Pricing, recommendations and test scores correct as of June 2018. Not found the right product for you? 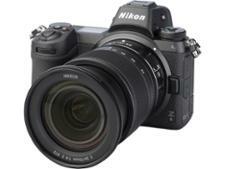 Browse all our DSLR camera reviews. The worst DSLRs from our testing not only take poor-quality photos and video, but they're difficult to use and have limited features. We've seen DSLR models with flimsy plastic camera bodies that can easily break, low-resolution and fuzzy LCD screens that make it hard to review your shots, and snail-like shutter speed. Make sure you don't waste your money on an inferior DSLR camera. For someone looking to make the step up from point-and-shoot photography, this DSLR is certainly an eye-catching proposition. Image quality is OK and it's available for a cheap price, but is this bargain worth it? Our test lab has the expert results. Sensor size - The larger camera body of a DSLR means it can house a bigger image sensor than both compact and bridge cameras. A camera’s sensor is designed to capture as much light as possible: the bigger the sensor, the more light it can capture. See our camera sensor sizes explained guide for more information. ISO range - The ISO value of a DSLR determines how sensitive the sensor is to light. A higher ISO range of 1,600 and upwards is particularly useful for night photography or shooting in low light , as it will allow you to capture more light. 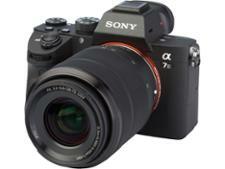 Interchangeable lenses - Most budget-level DSLR and CSC cameras come with a starter 'kit lens'. Frequently, this will be an 18-55mm lens, as this is the normal focal length for DSLR cameras. By buying different camera lenses, such as a wide-angle or fisheye lens, you'll achieve different effects in your shots. Image stabilisation - If you’ve got a shaky grip on your camera, image stabilisation in a DSLR will counteract photo blur. Because image stabilisation is often built into the lens, it’s a lot more effective when compared with compact digital cameras. Weatherproofing - The best DSLRs are weatherproofed, making them resistant to conditions such as rain and snow, as well as protecting the internal parts from dust and moisture. This means you can keep on shooting, no matter the conditions.